Before my boy left for boot camp he did the same thing to me... He got my carton of eggs, pack of bacon, taters and a iron skillet! I wanted to be mad at him but couldn't when he explained his rockstar status the next day! Only kid at the place that could cook a egg! That'll put lead in your pencil! Next level grits, there !!! I know the flavor was excellent. 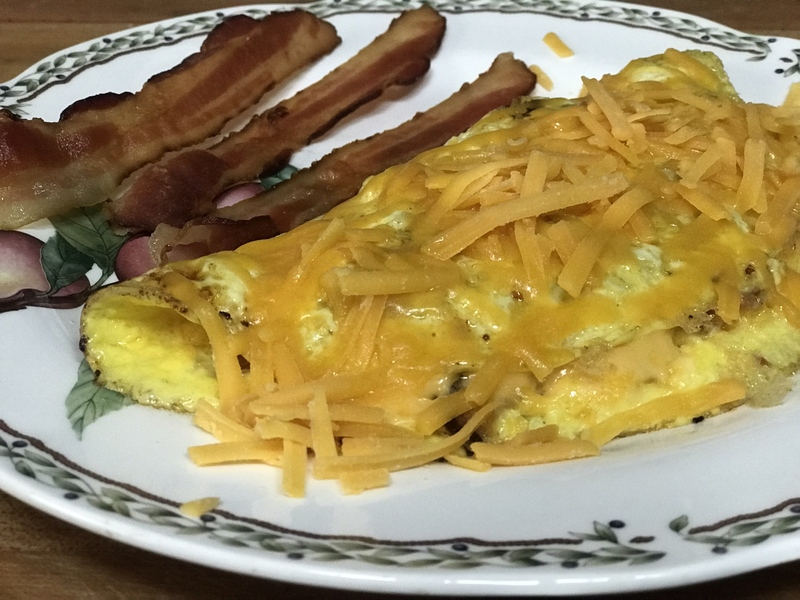 Made a pair of 2-egg omelets for wife & I this morning: American, cheddar, onions, jalapeños and bacon. Also toasted some whole grain bread and hit it with cream cheese & strawberry jelly. The kids came by for breakfast this morning. 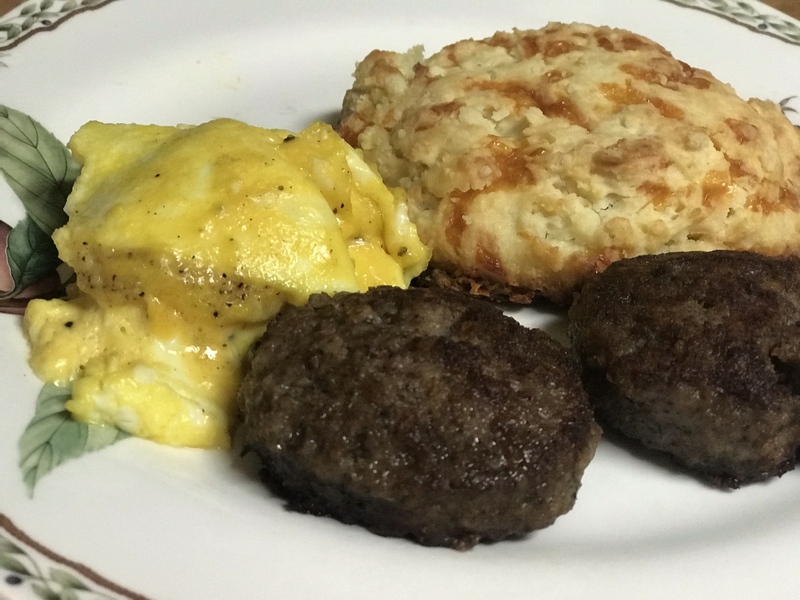 Wife and them jumped into gear on the Tennessee Pride Sage, skillet biscuits and cheesy eggs. Wasn't much left....but then again I'd told 'em I was good and to have at it. Made off with enough to hold me until dinnertime tonight. Thinking about some grilled yardbird. Dub that looks mighty good. 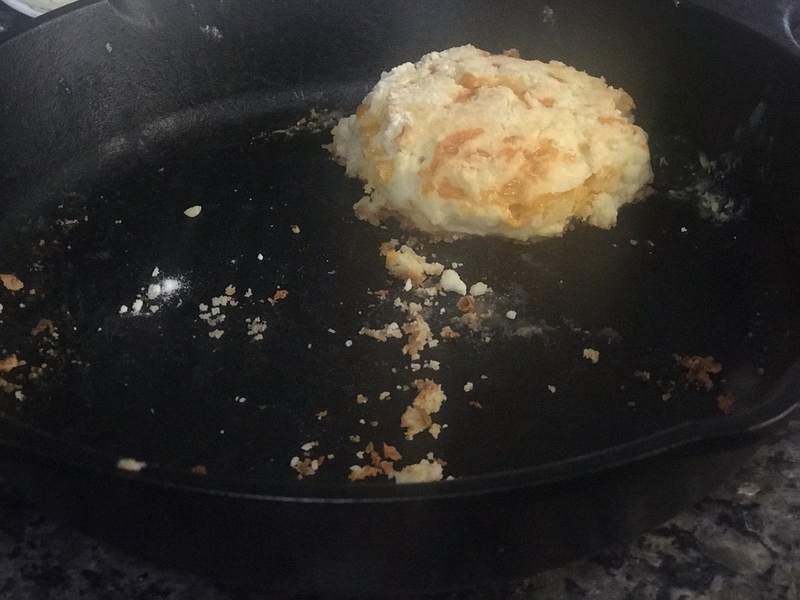 There'd have been some cheese grits cooked, too.....but went to the shelf where they were two days ago.....and they were gone this morning. Grit pilfering has been noted. Looks like I've gotta buy two of everything just to be sure the kids don't make off with it to cook on their own. It's all good on the grits, though.....I never eat 'em. 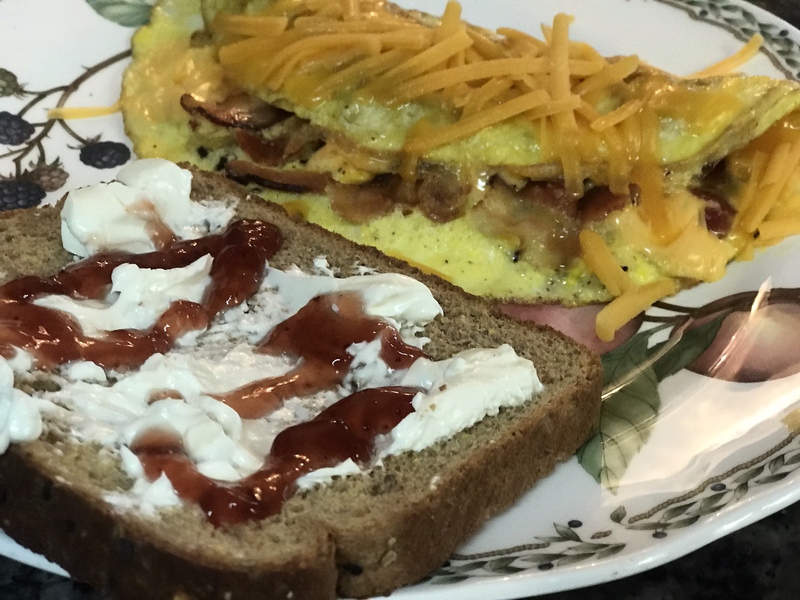 When eggs and cheeses get missing entirely.....I get a might testy, though. 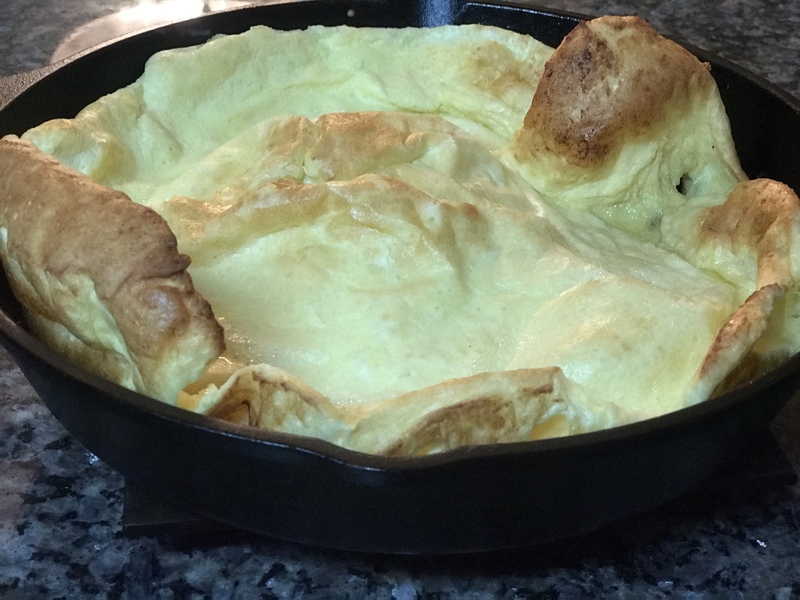 Pre-dawn breakfast attempt for wife......Apple Dutch Baby. 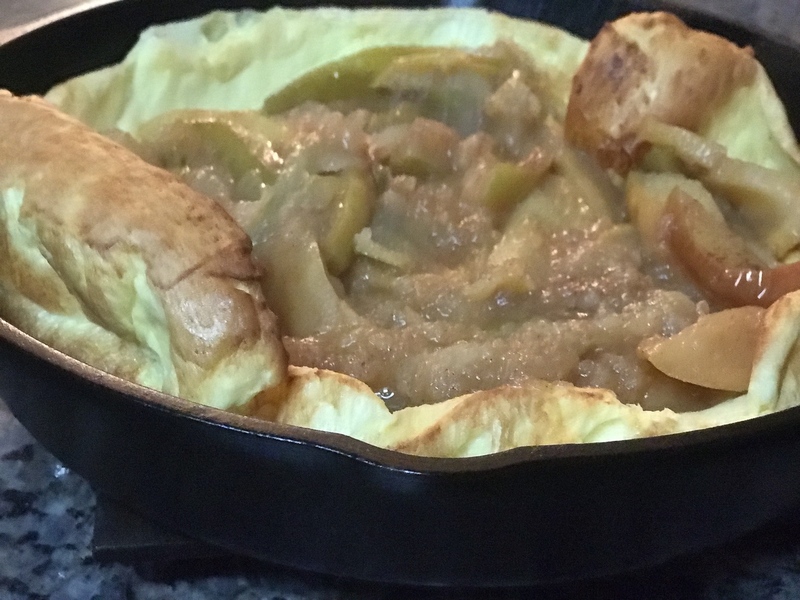 I put the apples on too early....while the skillet was pre-heating in the oven....and cooked them the entire time the crust was cooking. Wound up with apple sauce vs softened apples. My excuse.....coffee wasn't yet consumed. Wow!! You both just knocked it out of the park!!!! My simple, yet marvelously tasty plate from this morning. This place just gets better and better each time I stop by. Y'all have cooked up some fine-looking groceries this week. I'm pretty sure that IS health food......at least where I come from. Have fun in the SC woods and get'r'dun. We are playin' fer keeps. Never know when a meal may be yer last.......I wanna go on out on a good'un. One never knows....when I turn on the news I tend to see Maxine Waters telling folks to assault folks.....same thing from other leftist "leaders". And every now and again we have Mr. Louis Farrakhan speaking out on his madness. I'm a peace loving guy.......however........I'll speak whatever language is spoken to me. ....and be ready to engage accordingly. Crazy times we live in now. I'd like to think that we can all do our part....work hard....pay our taxes......vote......continue on. Problem is, daily evidence I am seeing is in opposition of such. All I can say is.....Brother, keep yer powder dry and your blade sharp....and both ever ready. Got a little bacon with 3 over easy with hot jalapeno and habanero jack in between. A light dustin' of black peppa and a splash of Texas Pete And of course a big,tall cup of 8o'clock original. 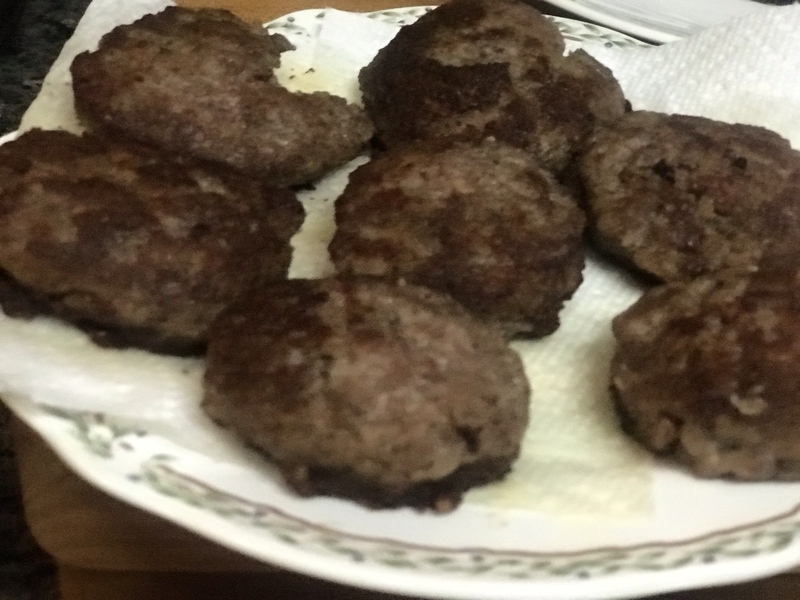 Got enough protein here to keep me fueled up for a while! Thanks for reminding that I need to pick up one for Deer Camp too. Got a couple of BEC burrito's working this morning. 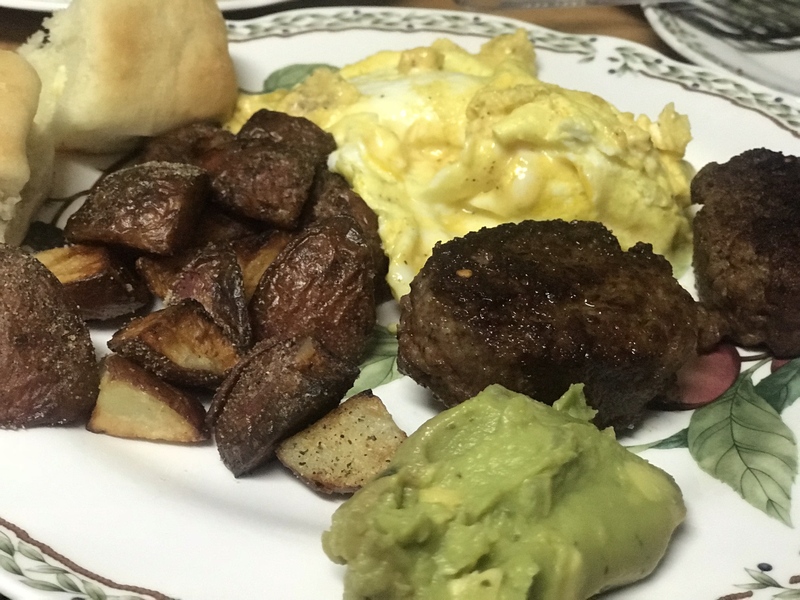 I was gonna add some leftover avocado, but my wife beat me to it.